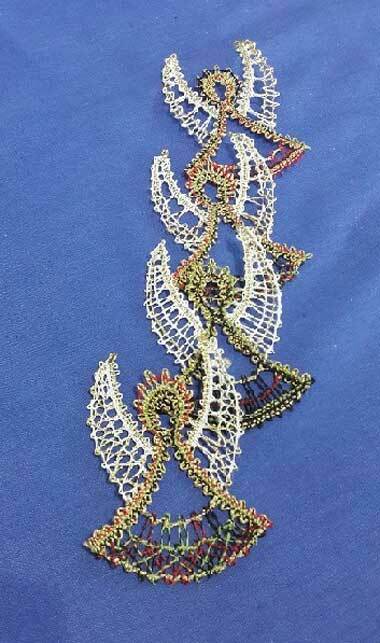 The angels were made from a pricking by Veronika Brunner from Austria, in the Lace Express 3/04. As there were 4 variations shown, I just had to make all 4 and in some colour to make them Angels from Africa. I used Bockens linen 35/2 in white and colours and an unnamed gold thread that I bought in the Czech Republic when the OIDFA was held there. It only took 4 or 5 pairs of bobbins!